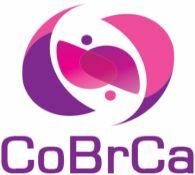 We welcome and encourage accredited editorial journalists to cover the 5th CoBrCa Congress in San Francisco, USA. The congress is open to representatives of print, broadcast and electronic media. Registration is free to journalists who are in possession of a valid, recognized press card. Freelance journalists must present a commissioning letter on an official letterhead from a recognized news organization or publication. Business cards are not acceptable. No more than two free press passes will be allocated per media outlet. Please note that filming or recording in the session halls and/or exhibition area is not permitted without prior permission. Please contact the CoBrCa secretariat if wish to request an interview with CoBrCa Chairpersons or any of the faculty members during the congress.